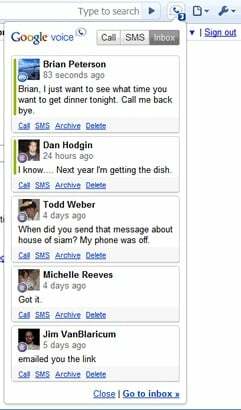 Google Voice – a tremendous service for U.S. people to call and sms their favorite contacts. It’s also giving powerful competition to Skype with the features like forwarding call from your google voice number to real numbers all over the world. This is pretty awesome service that Google offered but it’s sad that only available in U.S. Hope to see the service in other parts of the world. However, every good thing has a flip side too. 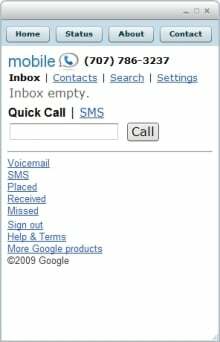 One thing that keep me irritated about using Google Voice is that you have to keep Google Voice webpage open to receive messages. Sometimes, you may close it mistakenly and u become not available to receive any messages. Opening Google Voice webpage might be inconvenient for many out there like me. So, I started to search Google Voice Desktop notification apps to keep me stay connected with Google Voice account. There are not many software out there, but I find some cool softwares after a extensive research that help you to keep notified about any activity with Google Voice account on your desktop. You can use download them on your Smartphone too. Simply, make a payment & start using them. If you’re not willing to pay then simply grab free Google play codes & redeem them to buy premium apps for free. So, for now, without wasting any time further, have a look on SaveDelete’s compilation of 5 great Google Voice desktop apps to keep you notified about every activity. 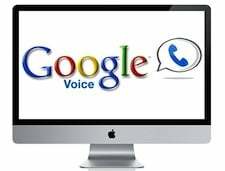 1) Google Voice App : To help keep Google Voice open on the desktop, Google voice app is created. As this is app based on Adobe Air, it will work on all popular OS like Windows, Mac and Linux. 2) GVNotifier : GVNotifier is a powerful app that brings Google Voice right to your Windows desktop. Quickly send or receive messages, listen to or read voicemail, connect calls and more. This little app works for Windows XP/Vista/7. 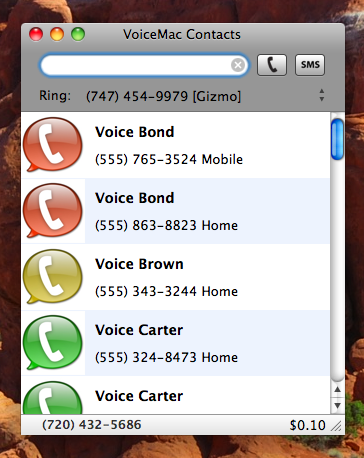 3) VoiceMac : VoiceMac is the first Google Voice client for the Mac. Send multiple SMS Messages, send SMS Messages, receive SMS Messages, place calls, look at your call history, receive voicemail, reverse lookup a phone number, and search your contact list in one easy interface. When you receive a SMS Message or Voicemail, you get notifications view Growl and hear sounds that is customizable. With SIP support you can place calls from your computer using your favorite SIP service and if you link your Google Voice Number with the SIP service, you can place calls with your Google Voice Number from your computer. 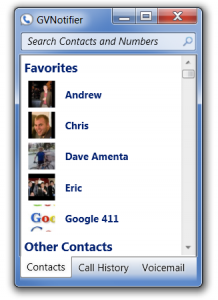 With the reverse lookup data, you can see who is calling you, even if their number isn’t in your contacts list. Audible alert on new messages (can turn off in extension options). Gives you quick access to your most recent messages with transcripts and voicemail playback. 5) GVMax : GVMax is a free webservice that monitors your Google Voice account and notifies you when you receive new SMS or Voicemail. GVMax can send you notifications in a number of ways including via Instant Messaging (XMPP/GoogleTalk), emails, Prowl and Howl notifications, Twitter, HttpPost and SMS (more on the way). The following videos show GVMax in action. The Air app is no longer available.